The man credited with scoring the best goal of 2015 is ending his football career to become an eSports player. 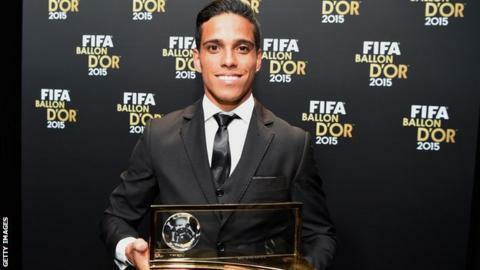 Brazilian Wendell Lira, 27, won Fifa's Puskas award in January, beating Lionel Messi and Carlos Tevez. He was recognised for his spinning bicycle kick for Goianesia in a Brazilian Goias state championship match against Atletico Goianiense. Lira, who plans to set up a YouTube channel, told globoesporte: "My dream is to become Fifa world champion." He also cited regular injury problems as being a factor in his decision to retire from playing.